Quark is a failsafe mild white spreadable product made from yoghurt. It is popular in Europe, sometimes likened to cottage cheese and called yoghurt cheese in the US. Fresh mild-tasting yoghurt is suitable for the strict elimination diet but older strong-tasting natural yoghurt may contain some amines. 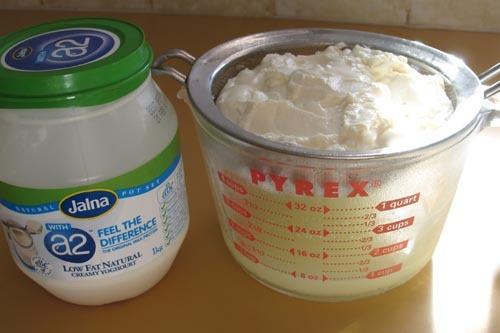 For amine-responders, we wonder whether this homemade quark is a safer way to eat yoghurt.